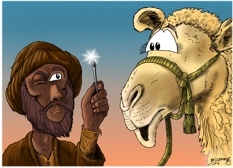 This is a story (parable) told by Jesus, so it has no particular time of day. I’ve used one source of light, come from the left. A man & his camel. 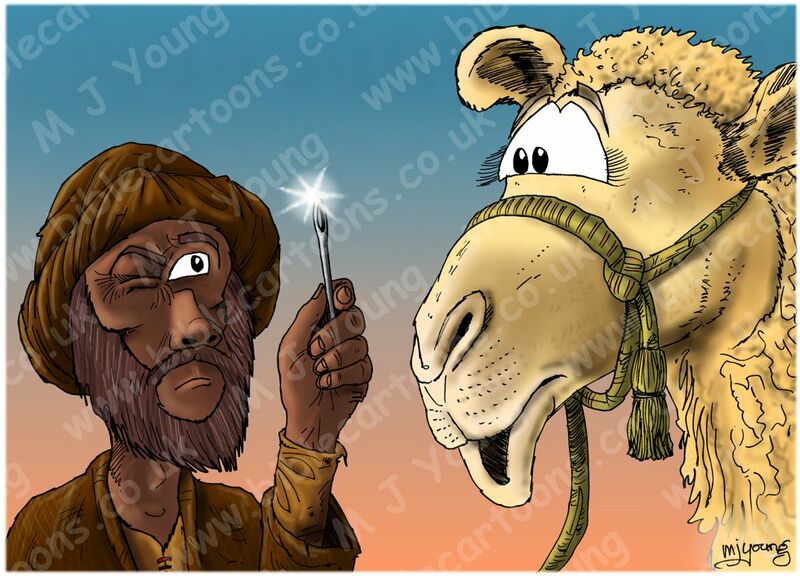 This scene simply shows a man holding up a needle, looking quizzically at it… so is the camel!